Dogs are indeed man’s best friend. Any dog owner would stand up and certify that this statement is true with proof. They hold a special place in your heart and is loved by almost everyone. Every dog owner wants the best for their dog. They want their dogs to live as long as they can and be healthy and strong throughout their life. Just like for human beings, a balanced healthy diet is very important to make sure that your dog stay healthy. There are certain food items that you can add to their diet to fulfill this factor. 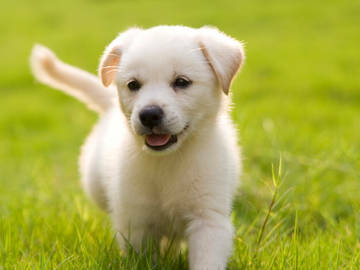 Following are some nutritious food that you can give your furry friend and their benefits. Chicken This is one of the most common type of human food that is given to dogs around the world. Dogs, whether it is a King Charles Cavalier or a Rottweiler, love eating this type of mean and you can even mix it up with something else. Chicken is easy to find, cook and is not so expensive either. Cooked or raw chicken can be served to the dog but you should keep in mind that cooked chicken bones are extremely dangerous to be fed. This could be a lovely treat for your furry family member at home. CarrotJust as it is healthy for human consumption, carrots are a great treat for dogs as well. Dogs, especially puppies, love eating carrots for its taste. You could include carrots along their main meal or offer it as a treat. Either way your dog will be getting a lot of nutritional benefits with its consumption. Carrots are rich with vitamin A and if you are in possession of a big dog you do not have to worry about the calorie count of carrots as this is a low-calorie vegetable. Therefore, this is a great treat for your dog regardless of its age. PumpkinDogs absolutely love eating pumpkin. It is rich with fiber and other vitamins. Pumpkin could be given to your dog if they suffer from a stomach problem or if you have noticed that they suffer from a sensitive stomach. Pumpkins could be given in its raw condition or cooked. Your dog will love it either way! YoghurtUnless your dog is suffering from a sensitive stomach or a lactose intolerant condition, your dog will never say no to a yoghurt. Yoghurts are rich with many vitamins and probiotics that help them grow and keep them healthy. Adding a yoghurt to their diet once in a while is a good practice to follow. Therefore, adding the food types above to your dog’s diet will help your furry friend be healthy and live longer. Getting your first pet can be a wonderful experience and it can also be a lot of fun. Pets can be amazing to have around and will give you years of unconditional love, joy and happiness. It has been noticed time and time again that homes with pets are happier, healthier and a lot less stressful because animals have a magical ability of making you happy even when things are low. This said however, adopting your first pet is also a very big responsibility. Adoption of a pet is more or less the exact same responsibility of having a child because the care that you will have to give your pet is identical. Getting a pet is a minimum eighteen year responsibility in the least and it is also a financial commitment because you will have to feed your pet and take care if his or her every need. Like a child, your pet will sometimes get sick and you will be responsible for your pet’s medical expenses and responsible for getting your pet to a vet on time just as you would with your child. If you would not neglect your child when he or she is sick, you should not do so with your pet. Before you bring your new fur baby home you will need to fix up and adjust your home to be pet friendly. 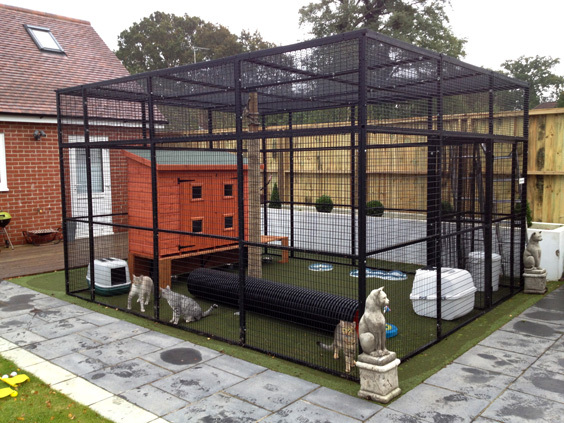 You might need to get outdoor pet enclosures ready if you do not have a tall wall around your garden because in those first few weeks, your pet might feel afraid and might have a tendency to run away. It is important that you secure your new pet from traffic or going on to the street. It will take a week or two, sometimes even a month for your new pet to get used to you. If you are adopting a cat, you can consider getting cat enclosures which will give your new fur baby the chance to move around and paly without escaping and getting run over. The sad truth is that animals are abandoned every day by owners who no longer want them or whose lives have changed in a way that they cannot accommodate an animal anymore. It is vital that you make sure that your life will be fairly stable for the next eighteen years or so and that you find ways of taking y our pet with you in case any changes do take place. Grooming is really a vital aspect of maintaining the general well-being of dogs. Regardless of what breed of the dog you possess, grooming is necessary for all dogs to be it male or female. While there are some species that shed there are some who do not. Such dogs are required to visit a professional groomer after every 6-8 weeks. Dog clipping can potentially decrease the chances of several health problems such as scratches; thrush etc. and make the dog appear much lovelier and prettier. It is good for the general well-being of the dog and cam screen the dog’s general health by checking for any nicks and cuts, swelling, numbness in any parts that could indicate a major illness. 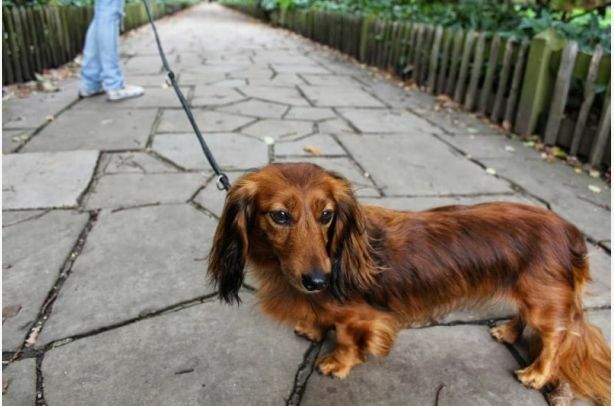 It also helps to create a better bonding between the dog and his owner and reduce the infestation rate of fleas and parasites on the skin coat. An expert dog grooming services at Belrose would require a few types of equipment to clean the dog from all sorts of undesired things. 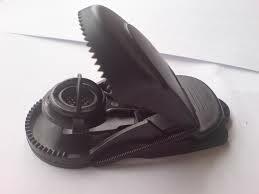 This is a tool with short teeth made of plastic or rubber. It is rubbed over the dog’s coat to take off all dirt and excess hair and stimulate the skin to produce natural oils. These are commonly used for dogs that shed the heavy amount of hair. It is also used for detangling knots in ears, paws and tails of the dog. Using currycomb must be executed very carefully as it can harm the dog’s skin when pulled harder. This is of particular use for removing dead hairs from the harsh skin coats. It is made of metal with blunt, short teeth and is not used for cutting the hair. This is perhaps the most important tool for dog clipping at Newport and is used for removing or shortening the hair in sensitive areas of skin coats. Normally they are about 6.5 to 9 inches in length, which is longer than human hairdressing scissors. Some of them even come with a blunt tip to prevent any injury while clipping its hair. This is a tool that helps in grabbing the long hairs out of a harsh coat right from its root. So clipping a dog before bathing is very important as it can remove the dead undercoat, allowing the water and cleaning shampoo to penetrate to the skin. Then the coat is combed properly applying a slicker brush on all parts of its body, especially legs and tail and the areas where knotting is common and frequent. Sometimes, a metal comb is also used for combing the intricate areas of the toe and space in between the toes. For those who have a pet dog at home, it is usually the center of their lives. Dogs are especially expressive with their emotions towards their owners and the bond that is created is a difficult one to break. For that reason, pet owners often fall in a dilemma when they need to travel. Canines, like other domesticated creatures, get used to their owners and a certain lifestyle in the house. When the routine is broken, they are often disturbed and their eating and sleeping patterns change as well. At the time of choosing an alternate place to stay for the canine, these points need to be kept in mind. For the canine lovers and owners who need to travel and have no one else at home to take care of the pet, it is a dilemma that can be solved by looking up kennel services in one’s area. There are different kinds of pet accommodation facilities available in many regions, varying from kennel to boarding and even luxurious home stay facilities. For a reasonable accommodation arrangement, dog boarding brisbane can be looked at. This area will show up several choices in this subject through online searches. As most relatives or friends might not be available to take care of the pet, arranging for an accommodation where the canine will be taken care of providing ease of mind to the pet owners. In order to understand the kind of facilities offered at a kennel or a dog boarding brisbane facility, it is best to visit both options and then take a decision. 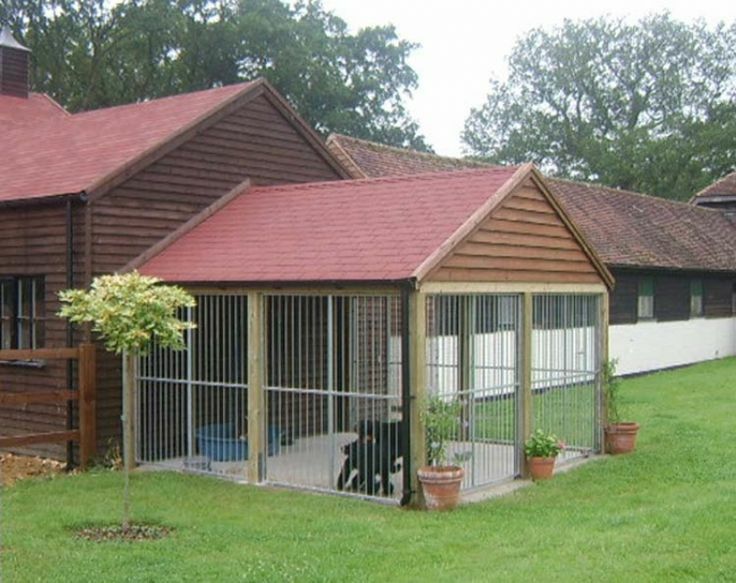 In most cases, pet owners prefer to leave behind their canine companions at a boarding facility which are often housed in private properties of animal lovers, hence guaranteeing better care and more space for rest and freedom to the canine creatures. If you have several boarding facilities available to you, a decision can be arrived at by looking up the premises, speaking to the owner, knowing the kind of arrangements they have and being assured that your canine will be well taken care of. The rate charged would also matter in this case, especially if one would be gone for long. Another way to find a reliable place is to refer to friends who own pets. These people will be able to guide one on choosing a place to stay for their canine creatures. The places that come recommended are sure to work for one as one can be assured that their pet will be well taken care of. Nowadays dog boarding facilities explicitly mention the kind of care and attention that will be provided to the dog and these terms are mentioned in the agreement paper that needs to be signed by the pet owner. Dogs can be trained for a number of reasons, but obedience training is probably the most important one. All dogs should be trained, for their own benefit as well as that of your family; besides, you will develop a stronger companionship with your dog when you do the exercises together. Training sessions should be tailored to each dog’s needs, and can sometimes take place in your home, an environment that the dog is used to and considers safe, and where the entire family can participate in the training. This way, the dog learns to obey each family member, not just the trainer. In-home obedience classes are particularly suitable for dogs with behavior problems. In dog obedience classes, the dog will learn to listen to basic commands like sit, stay, and come when you call, stop jumping on you whenever he sees you, barking uncontrollably, chewing things he’s not supposed to, digging your backyard. The goal of the training is that the dog sees you (not himself) as the leader of the pack. Obedience classes can save a dog’s life, considering that the handler (you) will have complete control over the dog; for instance, when the dog learns to stand still and allow hands-on examination by a veterinarian, or when the dog responds instantly and correctly to his handler’s call even in dangerous situations. Go right here if you are looking for an appropriate dog training for your puppy. From dog obedience classes in Sydney, you and your dog can go on to compete for titles and certificates; for example, a dog that is familiar with basic training exercises should be able to pass a Canine Good Citizen test or similar tests, and receive a certificate. A well-behaved dog can also compete in obedience trials, aside from the usual agility and tracking events. Note that classes alone are not enough, though; to be eligible to take part in specific competitions, dogs must be over 6 months of age and registered with certain canine organizations, clubs and programs. In some obedience trials only dogs belonging to a certain breed can participate, so it’s important to check in advance the requirements of each canine club. There are several levels in a competition, starting from very simple exercises for beginner dogs; these include heel on and off leash, coming when called, sitting and laying down for longer periods (up to 3 minutes at novice level). 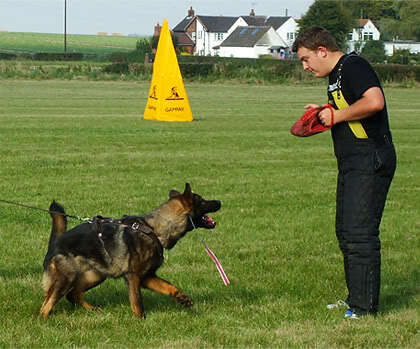 The most difficult is the utility level, which tests the dog’s ability to follow commands based solely on hand signals from the owner, as well as his ability to detect an article belonging to his handler from several other articles. There are an array of flea treatments for cats and dogs and each has its own merits. In most cases, people prefer the use of topical medications such as Frontline plus. This type of treatment is applied at least once a month and they tend to kill most of the fleas on the cats and dogs. However, in case the infestation is in excess then they would have to be applied more frequently. But these treatments can be used with other methods to ensure that the fleas are dealt with permanently. There are other methods that might be considered temporary and which includes a flea bath or by the use of flea shampoo. The flea shampoo comprises of ingredients such as pytherins, which help in the elimination of most fleas. However, these methods are done appropriately with dogs without much hassle, but they cats cannot tolerate such flea baths. It is considered a very high risk when it comes to bathing a cat they do not like it. Cats are not very open to immersion in water and they do not take it lightly either.Therefore, the cats it would seem that the sprays and the powder work best. The same powders are also available for dogs that kill fleas on contact. If you want to learn more treatment for your pet, read review here. However, some of these powders and sprays are not very safe to humans and children and can be potentially dangerous. When it comes to dog supplements the best can be joint guard for dogs which is very convenient in boosting their nutritional alignment to ward off some of the problematic intruders. On the issue of the use of powder or spray, they tend to stay on coats and it might fall in the hands through contact and lastly to the mouth. The other method of flea treatment that is also used is the flea collar, although it is less popular. They are meant to repel and kill fleas. However, this type of treatment is considered rather limited. The collars are only effective around the neck area and fail to repel or kill fleas in other areas far away from the collars. This article will help you more knowledge on how to avoid flea, see this post. The flea collars are quite ineffective, especially with large animals and they tend to release pesticides into the atmosphere exposing the pesticides to humans. Some other forms of flea treatment come in oral form and they are typically a once in month pills that are given to cats and dogs to inhibit the growth of fleas so they may not reproduce and bite. They can be considered as an alternative for topical flea treatments, but they are not very popular with some animals. But the best treatment is the topical treatment such as the Frontline which has the benefit of killing the fleas once they come into contact with the animal’s body. The topical treatments are placed strategically on the neck subsequently absorbed into the skin. Due to the effects of the pesticides people are advised to leave the animals outside for a few hours so that there is no contact with the treatment. If in case the fleas build resistance the vet advice interchanging of the topical treatments for better services. For a wormer, the vets will advise on the use of profender allwormer especially for the cats.